After complete ramp up, the total investment in the unit will be of Rs192cr (without land and building) for a capacity of 750Mn tubes. This is the first unit of the company in North-East of India. 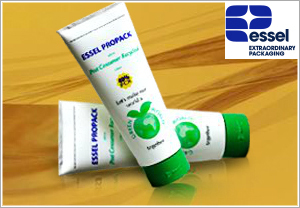 Essel Propack Ltd., world leader in the business of manufacturing laminated plastic tubes, inaugurated its first Greenfield unit in Kamrup, Assam. The unit will deliver high-quality laminated tubes with a manufacturing capacity of 275Mn tubes annually. The size of investment in phase-I is Rs82cr and will provide employment to about 150 people. After complete ramp up, the total investment in the unit will be of Rs192cr (without land and building) for a capacity of 750Mn tubes. This is the first unit of the company in North-East of India. Hon'ble Chief Minister of Assam, Sarbananda Sonawal was Chief Guest at the opening ceremony together with several dignitaries like State Government Ministers, officials and customers. Following the cutting of the ribbon, the guests celebrated the official plant startup and the beginning of production. The unit has been set up under the auspices of the "Advantage Assam" scheme of the Government of Assam. The new unit will augment the capacity making it a strategic sourcing site for the customers from North-East of India. The Assam unit is another 'first' in the company's list of achievements. It is not only the company's first unit in North-East India but also the only global company manufacturing laminated tubes in the region. On the occasion Ashok Goel, Chairman and Managing Director said, "The new unit in Assam is a strategic investment, in-line with our stated objective of 'go and grow' with customers. Several of our customers have set up units in Assam and our presence near them will facilitate servicing them better, besides opening up opportunities for developing markets in North-East India and surrounding countries. It is the first unit in our system which is equipped & designed to effectively service the ever dynamic market demand, owing to new form of Delivery/Distribution system ".